Cloud CRM Software vs On-Premise CRM | Web Based or Self-Hosted? Cloud CRM vs On-Premise CRM: Which Deployment is Best for Your Company? Today’s CRM forecast: cloud(y) with a chance of SaaS. Joking aside, cloud CRM software has gained such popularity over the past decade that seeing CRM solutions based in the cloud has become as normal as seeing actual clouds. And with the CRM market forecast to reach $35 billion by 2023, companies understand the importance of investing in CRM. That means choosing the right solution — and deployment — is becoming more critical than ever if you want to remain competitive. When it comes to software deployment, you need the right vessel for the job. Just as a canoe would be a terrible choice for deep-sea fishing, the wrong model can hinder your CRM software solution. So, how do you know whether the cloud or on-site is better? That’s what we’ll explore in-depth in this article. But, before we set sail into the waters of cloud CRM vs on-premise CRM solutions, let’s get clear on terminology. Cloud CRM is a phrase with many names. Web-based CRM and cloud-based CRM are two of the most common. Call it what you will, the basic premise is the same: your CRM (customer relationship management) software is — wait for it — housed in the cloud. Which is to say, instead of purchasing software and installing it on a local, on-site server that requires licenses to store customer data, you pay a vendor to host all your CRM information remotely. Users access the software via the internet rather than a desktop application and can view data on anything from a laptop to the latest iPhone. As customer data management becomes more complex, many businesses are switching to cloud-based CRM solutions. In fact, as of the end of 2018, the cloud hosts nearly 90 percent of CRMs, a complete shift from 2008 when 88 percent of CRMs lived on-premise. We also ran a survey of the top features customers want from their CRM in 2019. Over 500 companies participated, representing a variety of industries and ranging in size from small businesses to enterprises. What did we find? Sixty-three percent of companies prefer cloud CRM and 98 percent are open to the idea. Taking all the above facts into consideration, that’s a massive swing in favor of cloud CRM solutions. Which begs the question, which deployment method is right for you? Should You Choose Cloud CRM Software or On-Premise Software? That’s the million-dollar question (possibly literally). It’s no secret that choosing software is a big deal and for a good reason. The process takes time, your end choice will cost you money and the capability of the software will play a significant role in how productive and profitable your business is. CRM software is no exception. Some vendors offer a free option — good news if you’re a small business that doesn’t have pockets as deep as the Marianas Trench — but generally, you get what you pay for. Meaning the “free” tier probably comes with limitations regarding features, customer support and the like. And since CRM is all about managing your customers well, the solution you pick will go a long way in strengthening your bottom line. It’s important to make the right choice, and the biggest question you need to answer is whether an on-premise CRM or a CRM in the cloud will best fit your requirements. What Level of Access Do You Need? Will your team members all use the software exclusively in the office or will they need your customer data on the go? The accessibility of a CRM platform is where you should start your deployment evaluation. This is where web-based CRM solutions truly shine. Storing your CRM info in the cloud means your sales reps and other employees have access whether they’re in the office, at the bagel shop down the street or waiting for their flight at the airport. On-the-go access, full visibility and shareability: those are the real power of CRM data in the cloud. 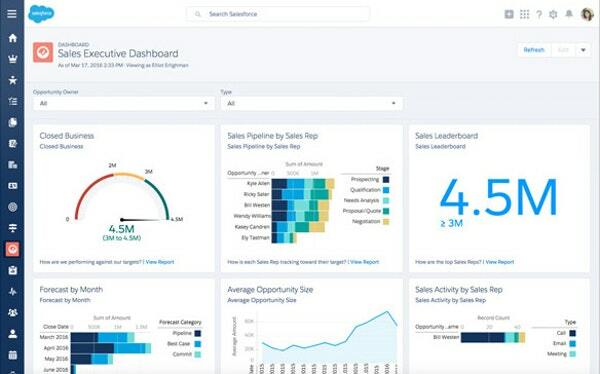 Your sales reps, executives, marketers and even your external partners or customers can all see data in real time, using any device. Modern CRM systems let you track and manage all your customer data. For businesses that employ traveling sales reps or CRM users who may find themselves in need of their customer data at any time, cloud based CRM software is the right answer. On premise CRM deployment is more tethered than its cloud computing counterpart. For the most part, this limits your access to the office, where the servers reside.  Although this dictates where and when you can use the system, it also almost eliminates connectivity issues. Cloud-based CRM systems rely on the internet to work and provide access. If your WiFi suddenly goes belly-up, you can’t access your data, even if you’re working in the office. With on-premise CRM software, however, proximity is the main requirement to access your customer data. Nothing short of a power outage can stop your ability to work with and view the data you need. If your CRM users only need to see the information while in the office, an on-premise deployment may be the better fit. Some companies opt to set up a VPN (virtual private network), which allows remote access to a corporate network. Though a VPN serves some of the same areas that cloud computing does, VPNs and cloud computing aren’t synonymous. So you shouldn’t consider a VPN a one-to-one replacement for a cloud solution. What Are Your IT Requirements? How big of an IT department do you have? What’s their budget? And how many IT resources do you already have on hand? The capabilities of your IT department is another major factor in choosing a CRM deployment. For businesses with a small IT budget and few resources (mostly small businesses), cloud-based CRM is far more viable. Why? Because the vendor hosts any cloud-based CRM solutions, so they require little to no intervention from the IT department. The vendor owns the servers, handles the updates and is responsible for the general management of the platform. If any issues come up, you don’t have to try to fix them yourself — just reach out to your vendor’s customer service. This saves time and money that you can allocate elsewhere. Hosting a CRM on site, on the other hand, requires a lot of IT attention. When you deploy any software on-premise, you’re essentially taking over every aspect of platform management. This means your IT department has to spend a lot of time and resources implementing and managing the system. Typically, large businesses have the number of resources required, so they’re more likely to adopt an on premise CRM. On-premise IT management starts with setting up the servers during initial implementation. You have to deal with loading data, taking care of the servers every day and problem-solving should the system go down. Although your vendor can help your IT staff with some issues, it’s ultimately up to your team to get it up and running again. Regular data backups are also necessary to prevent data loss. Should a disaster or failure occur, equipment replacement comes at the company’s expense. Even something as basic as upgrading to a new software version can be a significant investment. Based on all that, is the local option a waste of time and energy? It depends on your specific situation. Using a CRM on-site comes with some benefits. First and foremost, you have more control over customization and configuration. Installing the system yourself gives you the power to make slight tweaks when needed to fit your business and the processes you already have in place better. Greater control over customizations makes for easier integration, which is a powerful capability for collaboration across departments. While many cloud-based CRM solutions integrate with other types of software, such as a BI platform for performing big data analysis, going the on-premise route lets you combine pretty much any systems you want. You own the servers the CRM resides on, so you can more easily create gateways that allow your CRM to communicate with other systems. If you’re thinking “duh, that’s obvious,” I’d agree — with a caveat. When considering cost, it’s easy to look exclusively at the price of the system, whether it’s a one-time, upfront fee or a monthly subscription. However, the dynamics of evaluating the cost of enterprise software are a bit more complex. In other words, don’t forget to consider hidden costs: usually upfront costs involved in implementation or ongoing expenses related to maintenance. Generally speaking, cloud-based software is cheaper from the get-go. Typically, the only cost is the subscription fee. The amount often depends on how many users need access to the system, but some cloud CRM vendors have a flat fee no matter the number of users. This pricing model ensures that cloud-based CRMs have small upfront costs, making them affordable for businesses of all sizes. And when you’re a small business, affordability is the name of the game. And don’t forget about ongoing maintenance costs. Remember those hidden costs I mentioned? Maintenance can be one of the most expensive culprits since keeping the servers and other hardware running smoothly requires regular attention. And when issues come up, it takes time and money to fix them. Once again, despite some of the cost disadvantages of an on-premise CRM system, it’s not all bad. Because there’s only a one-time fee to acquire the software, as opposed to ongoing monthly payments for a cloud CRM solution, using it for long enough may end up lowering your TCO. Despite the cloud’s lower short-term costs, after a given time, an on-premise platform can end up as the cheaper option. Similarly, large enterprises commonly find having their CRM on location is cheaper because of their size. If using web based CRM software, businesses with hundreds or thousands of users may end up with hefty monthly fees that aren’t worth it. Since businesses of this size don’t have to pay per user for an on-premise solution, the one-time fee may be the cheaper, more appealing option. The fact that they have the resources for proper implementation and management of an on-premise platform only enhances that appeal. How Does the CRM Handle Data Security? How can you guarantee your data stays secure? A legitimate question, given the number of big-name breaches that have made the rounds over the past couple of years. If you look at the criteria from the previous few sections, the average company would probably find more benefit from a cloud-based CRM. But when it comes to data safety, what’s your best bet? Back in the day, there wasn’t much competition when it came to which option offered stronger data protection. On-premise solutions were the equivalent of Michael Phelps — demolishing their cloud-based counterparts. Times have changed, though, as cloud providers continue to put a high priority on security. Where do things stand now? Unfortunately, it depends who you ask. Ninety percent of cybersecurity experts still have moderate to extreme concerns about cloud security. Almost half of the respondents think the cloud contains a higher risk for security breaches. On the flip side, the view of SaaS isn’t as grim. Almost six out of 10 people surveyed think cloud apps have equal or better security than on-premise solutions. If you’re wondering where that leaves you, don’t worry. While questions surrounding cloud security abound, one trend stands out among the rest: the cloud isn’t the problem. The users are. Take a moment to ponder that. Despite the misgivings, security issues aren’t inherent to a cloud infrastructure. In fact, failure on the customer’s part will account for a whopping 95 percent of security breaches over the next handful of years. Yes, you read that right. That’s a lot of user error. Many factors play into this, but understanding the differences between cloud and on-premise security is a crucial first step in taking a hatchet to that number I just mentioned. Until you have a thorough understanding of why both solutions aren’t created equal and why you should care about things like shared responsibility, cloud security can be an accident waiting to happen. Enjoying a secure cloud isn’t Mission: Impossible — it just takes commitment on your part to ensure you follow proper measures. All that’s to say: when considering which solution to use, do your homework. The cloud offers some advantages when it comes to security, and on-premise solutions aren’t the tech version of Fort Knox every single time. Knowing the pitfalls, strengths and everything in between for both options is your best bet to taking care of your customers’ data on a daily basis. Cloud-based CRMs and on-premise systems are on par when it comes to flexibility. By their nature, CRM solutions in the cloud have better scalability, which helps growing businesses adjust to growth they can’t predict. However, one issue is the high reliance on vendors for support, software and hardware. On-premise systems may be harder to scale, but your business owns the hardware and software, giving you control over the solution. It’s also easier to incorporate custom applications into locally hosted systems. How Easy Is the Deployment? Because you want it to be as complicated and cumbersome as possible — said no one ever. Getting a system up and running shouldn’t be the tech equivalent of reading Dante’s Inferno. Easy, headache-free, straightforward? That’s what you’re looking for. Since a cloud-based system is hosted at a vendor instead of your location, you don’t have to worry about disrupting your existing infrastructure for the deployment. After you’ve selected the solution, it doesn’t take long to set up. Adjust a few business processes and give employees app and login info. Boom, you’re done. Granted, if you’re shifting onto a hosted CRM solution after being with an on-premise solution, it may take employees time to get used to the new look and feel. And in every case, you may find some training necessary. Luckily, many CRM vendors offer resources like customer support, user communities and eLearning options. In contrast, an on-premise CRM is more complex and requires everything from on-site servers to an IT staff capable of installing and maintaining the necessary software. Not all companies, especially small businesses, have the resources to handle such a deployment. You want to create great customer relationships while exceeding client expectations, and with the help of a CRM, you can. But doing so requires a solution tailored to meet the demands, intricacies and specific needs of your business. Although choosing the right deployment model isn’t the end-all-be-all, it can make a difference in how successful your implementation is. Whether you need a cloud-based CRM or an on-premise solution, it all comes down to your business requirements and the resources at your disposal. Carefully assess the considerations below. Once you do, you’ll have a much clearer picture of what type of CRM you need. Some cloud CRM software is a bare-bones relationship management system. Others are full-featured and include functionality for both sales and marketing, such as tools for managing budgets, handling POS data and even managing vendors. 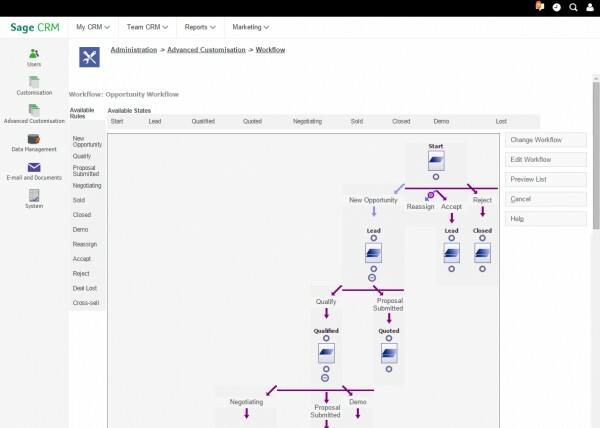 Example of a customized opportunity workflow in a CRM system. Take time to determine if you actually need those functions before investing in lots of features you don’t need or that other software already handles, like your marketing automation tool. A good CRM solution helps the business grow, which means you need to choose a service that can scale with you. If your company enters the contract at the top level, there’s not going to be any room to expand your services. Find a solution that offers flexibility and scalability so that you can add on services, users, features and more as needed. When it comes to a CRM software comparison, don’t compare the products and features only. Look closely at the companies behind those services. Which have the best records for reliability (uptime) and security? Which have been around longest? Which are easiest to work with? Before even considering the cost of the service, be sure you can have confidence in the strength and reputation of the vendor. Businesses that recognize the extensive benefits of cloud CRM are abandoning the old model of using a network of onsite hardware and software systems to store customer data. 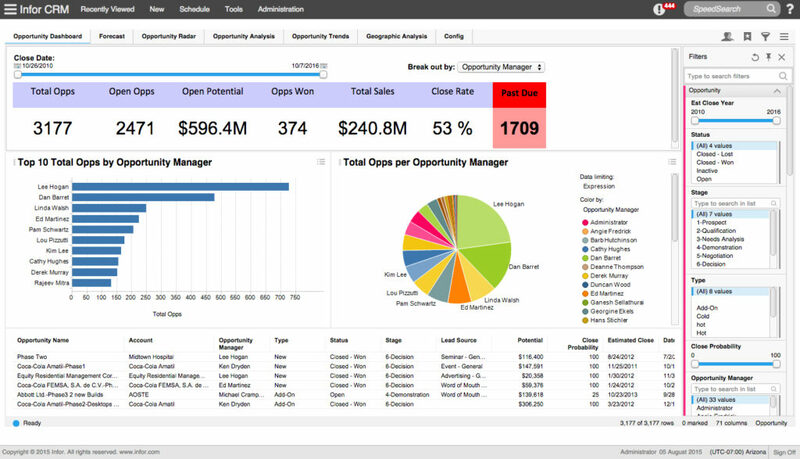 View of a CRM dashboard. On-premise CRM also offers little in the way of scalability. Expanding requires the purchase of more hardware, and, if requirements decrease, you still need to maintain the same amount of hardware until demand goes back up. As of today, on premise CRM systems aren’t dead. But more and more companies see the value of moving their CRM to the cloud. One major reason? Customers want personalized experiences. A CRM that’s cloud-based provides full visibility into customer data, making it easier to deliver those tailored experiences. That results in happy customers, and since customer satisfaction ranks as the top sales metric for 2019, your business success hinges on it. With more businesses relying on SaaS solutions, cloud CRM is moving toward offering greater integration between platforms and applications to create streamlined workflows and provide more advanced opportunities for customization. Having your CRM on premise comes with advantages, but at the end of the day, going the cloud route will likely serve you better. Just remember that before making any decisions, ask the right questions to get a complete picture of how your CRM will impact every aspect of your business from budget to IT. To get a full view of your options, be sure to check out our free analyst report that compares the top CRM software on the market. The business decisions you make are only as effective as the information you gather, so collecting as much intel as possible will make your selection process smoother. Where do you fall in the cloud vs on-premise debate? Leave your thoughts in the comments!